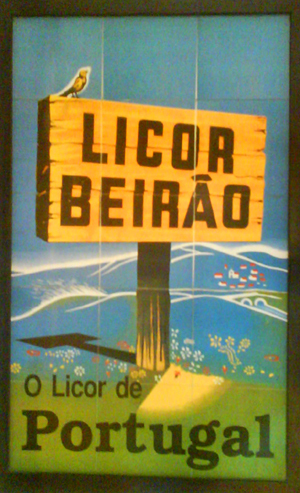 Licor Beirão is a Portuguese liqueur. Its recipe is a trade secret; the producer, J. Carranca Redondo, Lda., only states it is made from a double distillation of seeds and herbs from all over the world, including Malaysia, Brazil, and Thailand. It has 22% ABV. 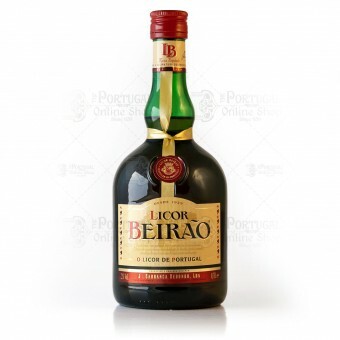 This delicious one and known liqueur well Portuguese is produced in the Mountain range of the Lousã. It is prepared with natural products from a double destillation of 12 plants, medicinal and others of strong aroma, such as: eucalipt, cinnamon, rosemary. Beirão is Portuguese for "from Beira". Beira was the name of a former province in Portugal, which is currently contained within Portugal's Centro region. The liqueur was produced in the 19th century as a medicinal product for stomach aches by a pharmacy in Lousã. In the late 19th century alcoholic beverages were no longer qualified as medicinal but the liqueur was kept in production in a small factory owned by the son-in-law of the original producer. In 1929 the liqueur entered a contest on the 2nd Beirão Congress where it earned a gold medal and its name of Beirão. In 1940 the factory was bought by José Carranca Redondo (1921-2005). In the 1960s Redondo drove Beirão to a nationwide success. He understood the importance of advertising - he used to say that after laying an egg, the hen clucks - so he launched the first Portuguese advertising campaign using billboards. Cut the lime and crush it in a old-fashioned glass. Fill the glass with crushed iced (ice cubes can also be used). 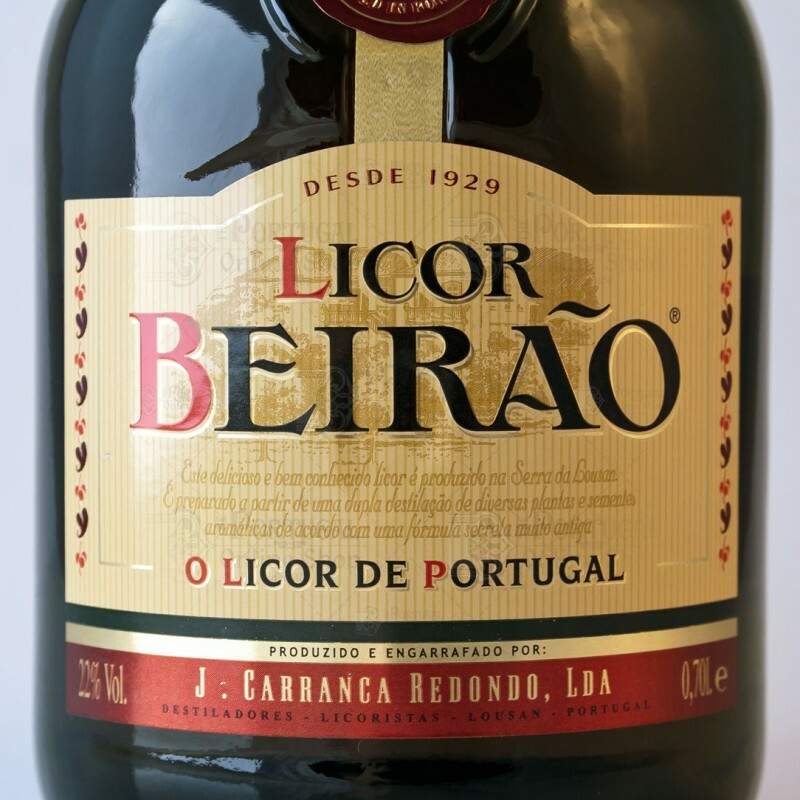 Pour the Licor Beirao into the glass and stir well. Note that no sugar is added. Mix 150g of chopped nuts, 120g of sugar, 150g of melted margarine and 5 eggs till you obtain a fluffy cream. Add 150g flour, 3 teaspoons powder yeast and 10 cl of LICOR BEIRÃO. Bour it into a greased tin and bake in medium oven for 45 minutes. Heat 250g of sugar with a little water until it thickens a bit. Allow it cool. Add 6 whipped egg yolks and 2 large spoond of LICOR BEIRÃO. 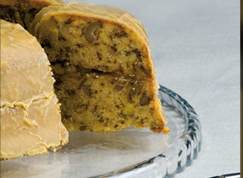 Fill and cover the cake with the mixture, It's delicius! 2 slices of pineapple, 1 banana, 2 kiwis, 2 oranges, the juice of 1 lemon, 1 apple, 6 strawberries, 1 pear, 2 halves of syrup peach, 100g of grapes, 10 cl of LICOR BEIRÃO. Wash well all the fruits peel and remove the seeds. Cut the apple and the pear in cubes, put them in a big bowl and squeeze the lemon over them. Cut the rest of the fri«uits in small pieces. Mix them carefully. Add some peach syrup and the LICOR. Put in the fridge. Suggestion: you can substitute some of the fruits for other seasonal fruits for other seasonal fruits like melon, watermelon, mango, peaches, tangerines, papaya, plums, etc. Beat the whipping cream and put it in the fridge. Melt the chocolate in a double boiler and beat the eggs with cold water, in a double boiler until the eggs increase their volume, making sure the water never gets to boil. 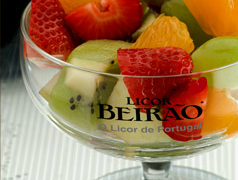 Add the LICOR BEIRÃO. Mix everthing together carefully. 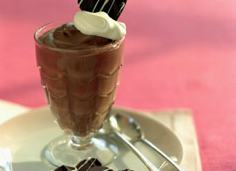 Dsitribute the mousse in small cups and let in the fridge for at least 5-6 hours. Ornament with some whipping cream. 4 Pieces of 40 cms square of aluminum foil. Pare and core the apples. Place one apple on each piece of foil. 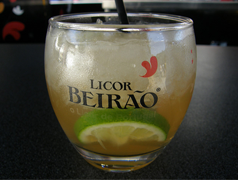 Inside each apple put one spoon of sugar and 5 cl of LICOR BEIRÃO. 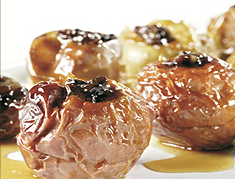 Close the aluminum foil on the top and place the apples in a preheated oven for 8 minutes. Serve them warm or cold. Taste great! This is the MOST amazing liqueur I have ever had the privilege of sipping.